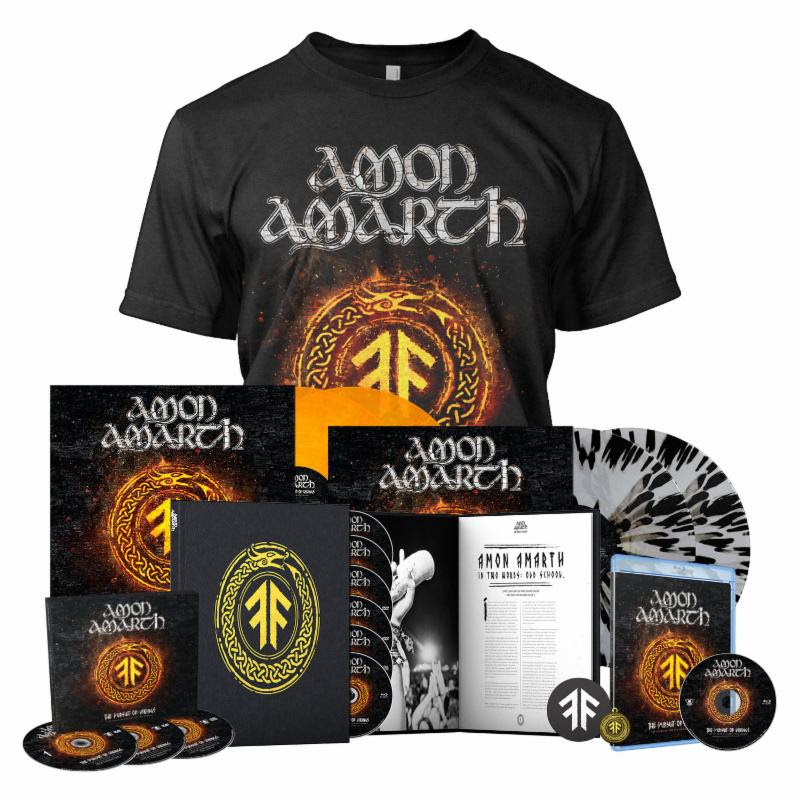 On November 16, AMON AMARTH will release its new documentary and supporting live album(s), “The Pursuit Of Vikings: 25 Years In The Eye Of The Storm” — which includes a retrospective documentary that features a wealth of live and behind-the-scenes content and extensive band interviews. This film tells the Swedish quintet’s history, through both their own eyes and those of the fans that have supported them along the way. It is a thrilling collection that pays respect to the faithful, as well as making for a detailed and riveting introduction for those new to their inspiring story. Paired with this documentary is the live video/audio, which contains two different sets at 2017’s Summer Breeze festival in Dinkelsbühl, Germany, capturing the unit at their very best. 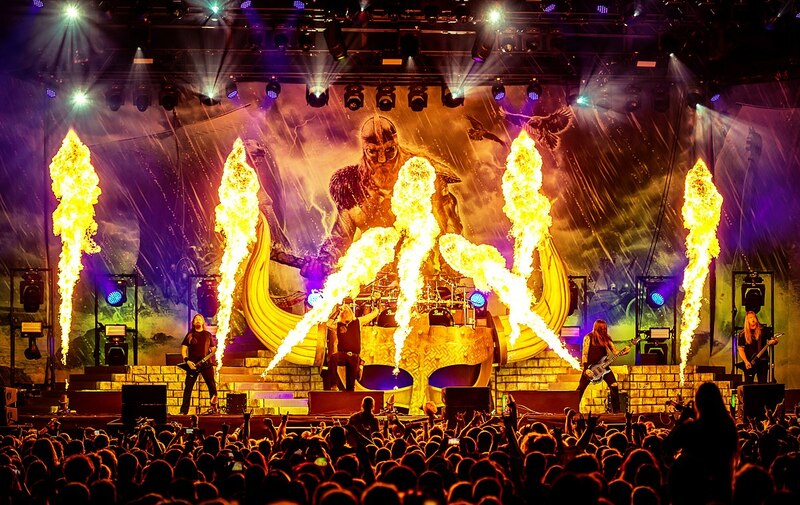 A performance clip of the song “Raise Your Horns”, taken from “The Pursuit Of Vikings: 25 Years In The Eye Of The Storm”, can be seen below. For the band, producer Alexander Milas (who contributed to Kerrang! and was an award-winning editor-in-chief of Metal Hammer, before starting his own creative solutions company, Twin V Ltd.) and director Phil Wallis, “The Pursuit Of Vikings” has been a true labor of love. 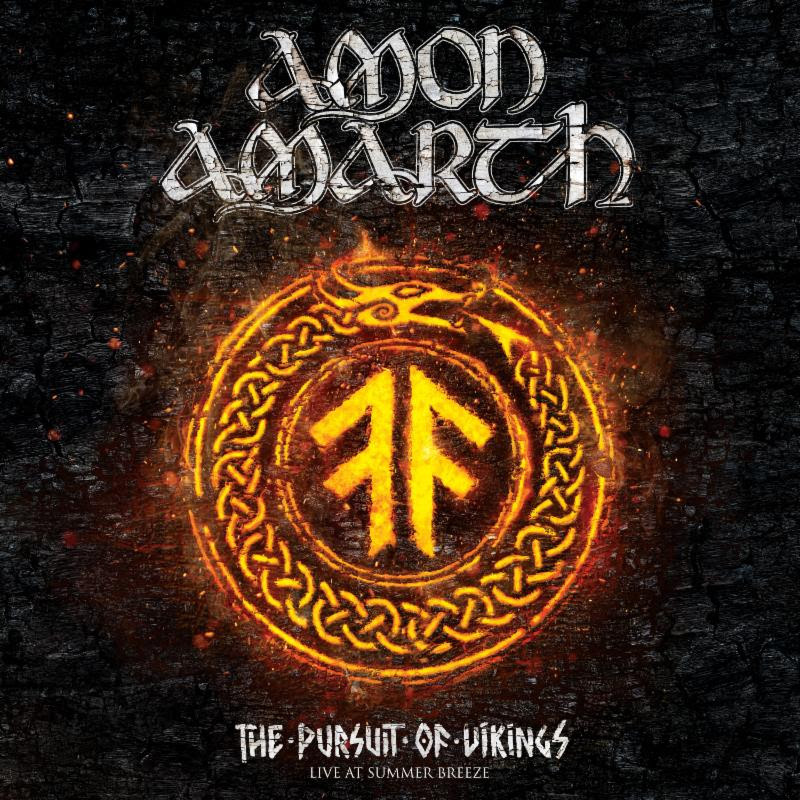 While their sound certainly displays strong echoes of the nation that birthed them, AMON AMARTH arguably wield a unique aura, a “lusciously crafted escapism” that Milas likens to the classic bands he grew up with: DIO, IRON MAIDEN and others who exist on a spectrum of their own making.